PLEASE NOTE: THIS ITEM CANNOT SHIP VIA 3-DAY DELIVERY.Heavy duty design for heavy traffic areas in hallways, foyers and in front of bleachers. 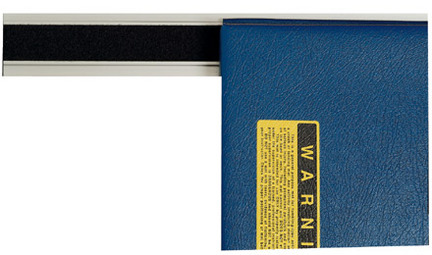 1/8" thick durable vinyl runner with corrugated design promotes safety and protects your floor. 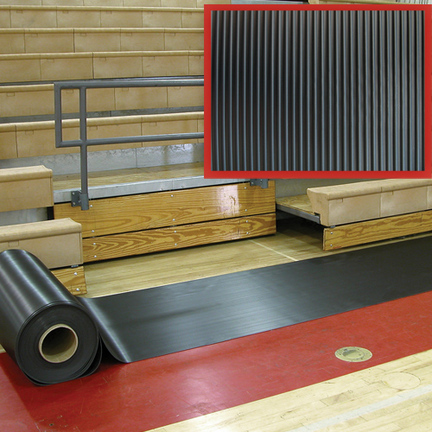 Runner mats are a great supplement to a gymnasium floor cover. Sold in 105' rolls. This item ships by truck, so please include your phone number when ordering so that you can be contacted to arrange delivery. You found 4' x 105' Walkway Runner Mat in category Volleyball and subcategory Gymnastics. If you need to buy more Gymnastics than you are on the righ place. Velstick 6' (1.8m) Section Wall Molding (VMW-6) from American Athletic, Inc.
Adheres mats to the wall for safety and storage.Velstick is a 2 3/4" (70mm) wide aluminum extrusion, with a 1 3/4" (44mm) wide plastic backed Velcro® insert in center channelStandard Velstick comes with pile (loop) Velcro®Use with EM and IM model matsOther sizes of this item include Velstick 4' (1.2m)Section and Velstick 5' (1.5m) Section.Velstick® and Velcro® are registered trademarks of the Velcro companies. PLEASE NOTE: THIS ITEM CANNOT SHIP VIA 3-DAY DELIVERY.Heavy duty design for heavy traffic areas in hallways, foyers and in front of bleachers. 1/8" thick durable vinyl runner with corrugated design promotes safety and protects your floor. Runner mats are a great supplement to a gymnasium floor cover.This item ships by truck, so please include your phone number when ordering so that you can be contacted to arrange delivery. 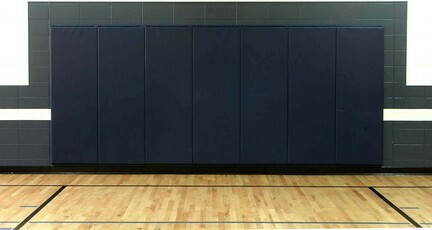 Protect your facility users from impact injury with wall padding available in standard and custom sizes.Features:Standard Pad Size 2' x 6' x 2"Foam 2" Polyurethane1" Nailing Lips Top and BottomBacker Board 7/16" OSBVonar Interliner fire retardantYou will need to submit your field dimensions when ordering this item. The dimensions can be faxed to 800-856-2632 and please reference your order number on the fax. Please allow 4-6 weeks for this item to ship out.